I don’t ask for much in a man. 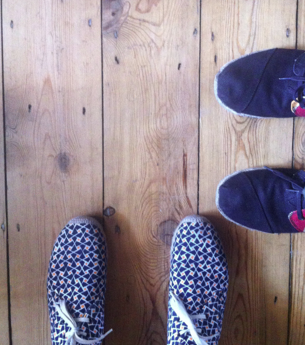 A good sense of humour, a non-smoker and good shoes are top of the list. 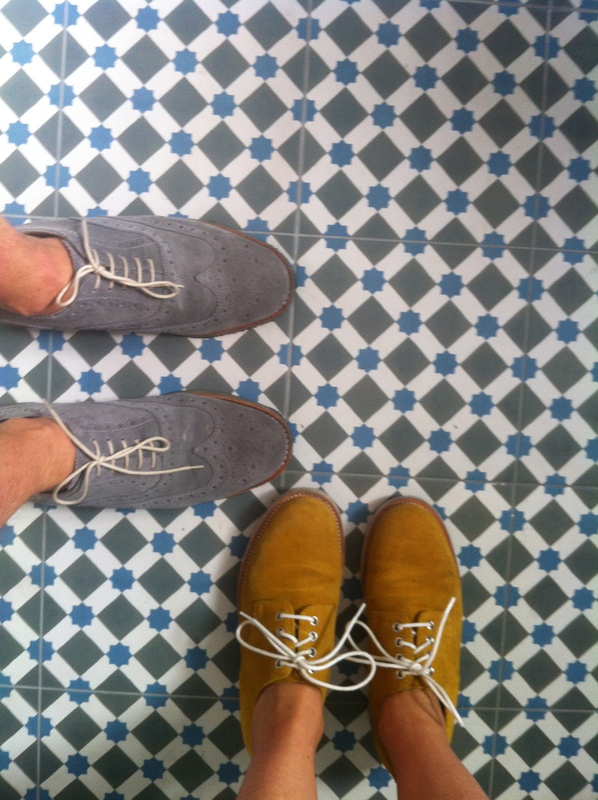 So I’m lucky that Mr Brogue has always had a great shoe collection since we met 17 years ago, save for a questionable pair of Reebok Classics in 1997. 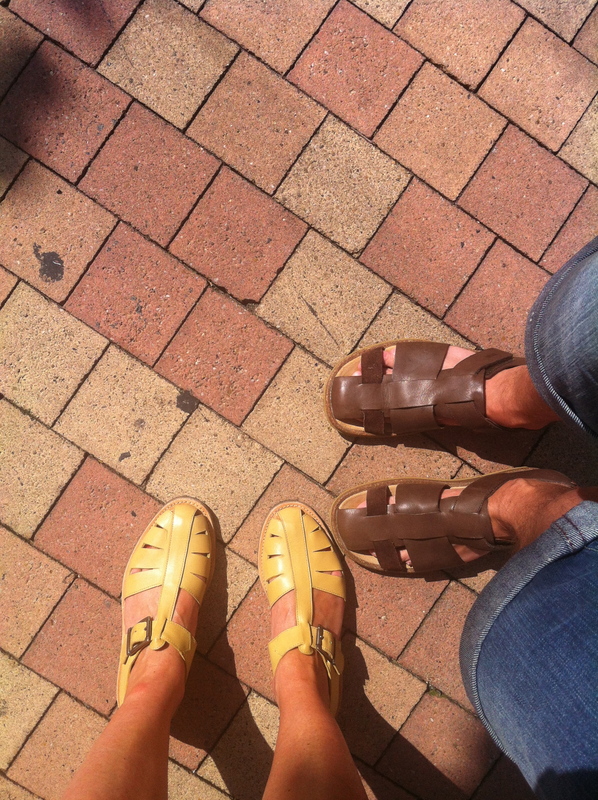 But this does present problems when you are a flat shoe lover: we often end up wearing the same shoes. I’ve never been a fan of his ‘n’ hers dressing (when were first dating we met up wearing identical vintage black leather jackets and I was mortified!) so this only tends to happen when we leave the house at different times and then meet up in the evening. On this particular occasion above we looked hilarious, as we were wearing the same colour top too. And being big fans of the same brands – in this case Grenson – doesn’t help either, as we have more than one pair of similar styles. 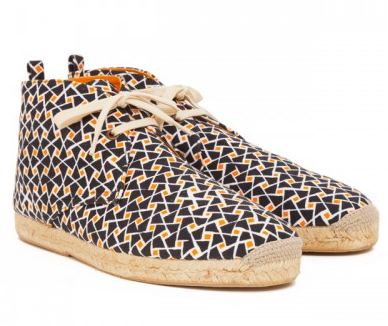 One of my favourite pairs of shoes this summer has been my Penelope Chilvers printed espadrille boots, a style I felt sure would not be replicated by Mr Brogue. But I was wrong! 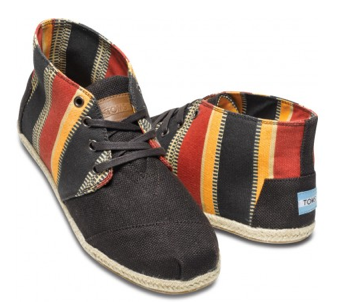 He’s now sporting this cool limited edition TOMs pair, and very nice they are too. Oh well, I don’t suppose I can complain. 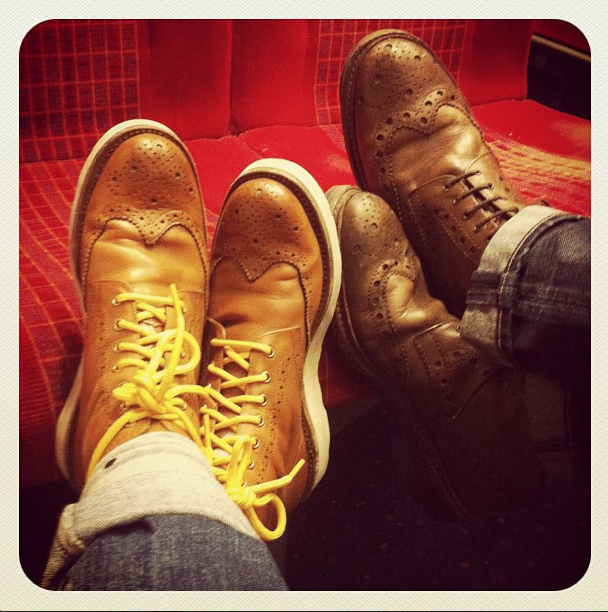 At least Mr Brogue is a shoe lover too. If he wasn’t, I doubt he would put up with my massive collection taking up all the cupboard space!